How do you currently reach your targeted customer? There are 60 million other businesses who use their Facebook Pages to reach out to clients and their communities. Print advertising, direct mail, earned media, robocalls, and spam emails will not find you the micro-targeted ideal client you're seeking. Facebook's ad management tools mean that you may specify the ads you purchase are targeted to your exact constituency. Women entrepreneurs, female founders, and local businesses benefit from the targeted ability of Facebook Ads to reach your ideal customer. As of late 2018, there are over two billion monthly active users on Facebook, where an active user means they've logged into the social network during the last 30 days. Who are these Facebook users? They're all kinds of people! If Facebook were a country it would be the largest populated country on earth. Facebook users are your friends, neighbors, family, community members at church, synagogue, or temple, work colleagues and more importantly, your favorite customers who benefit from, and will support, your business. Your ability to find new users measurably increases through the targeted Facebook ads of your business so that means more people logging on will be exposed to your products and will have an opportunity to click through and learn more about your specific offerings. Of all the people on the internet, 83% of women are using Facebook, so if you have a female-specific focus, or if your business offers items that women are responsible for purchasing, you have an excellent opportunity to reach them here. The Facebook user base of potential customers is also highly educated: 82% have attended some college, and 79% of users are college graduates. 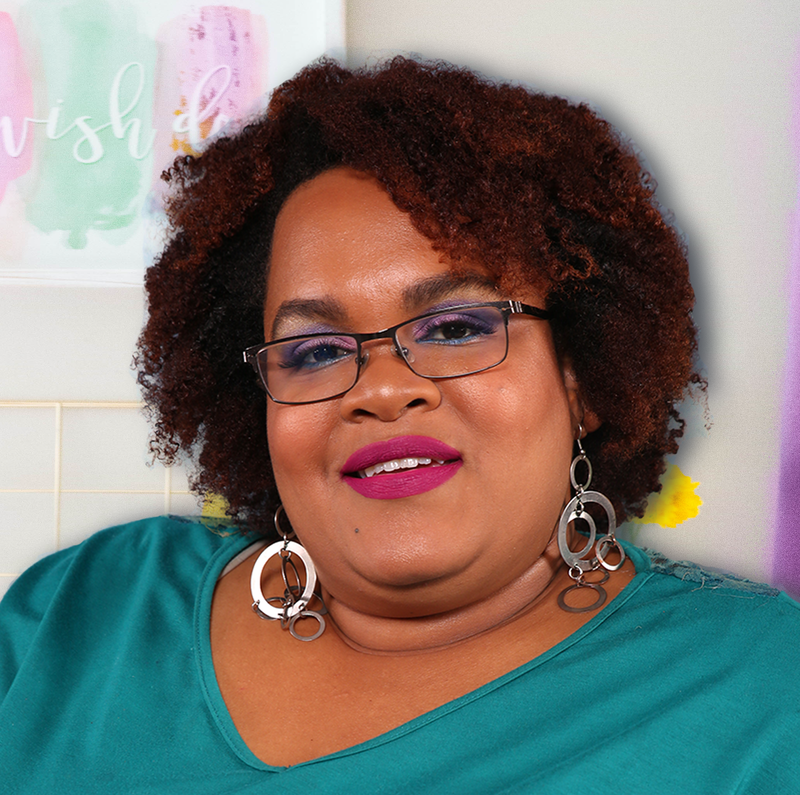 If you've already worked with me at Adminovative to determine your ideal customer profile, you'll know who you are currently seeking/your target audience. If you've got a product or service to sell and some great marketing copy the last piece of the puzzle is a great Facebook ad design. Many ads fail because their design doesn’t appeal to the target audience or doesn’t grab your attention, but no worries. If you design your Facebook ad following the guidelines set in this checklist you'll be well on your way to getting that green light from Facebook and getting clicks and conversions in no time. Download a free copy of the checklist here or scroll to keep reading. Don’t be afraid to get a little creative for this part! Start with lots of research. It’s important to have a simple, clear representation of the marketing message. Search Google for similar products to yours. How are they being marketed? Why are you offering this particular product/service? What are the benefits of the offer? Who do you want to target? Who is your audience? What’s the end result they can achieve? What is the emotion/feeling you want to convey? Communicate the answers to these questions in your image wherever you can. An effective Facebook ad image is much more than just a pretty picture. A good image will weave in the marketing message as much as possible. This is all about planning what you are going to do and where you want things to be. Don’t worry about colors or font choices just yet. In this step, start planning your graphic aesthetic (photo-based vs. illustration), what program(s) you’ll use to create the image, and, most importantly, the layout/placement of your design elements. When design is used strategically and planned out, it will ultimately benefit the company to grow and reach goals. Facebook ads have to POP! Using only a few complementary color choices will help obtain this goal. You don’t have to add 10 different colors to your ad! Avoid colors that are harsh on the eye. How can you get people to stop on YOUR ad? How can you set your ad apart? How can you create a pattern interrupt? Only use 1 or 2 different font families for your image. Too many font choices will be distracting from your overall message. Pick legible, clear fonts especially if it’s going to be a small Facebook ad. An abstract, complex image that is hard to define will only deter readers. The perfect place to add a short description of the offer or your CTA is on the image. Some people won’t read the ad copy as they scroll through their newsfeed – but the image, and the text on it, is more likely to grab their attention. Keep in mind, by having a really strong image/graphic, you may not always have to rely on the CTA/text to get the job done. 6. Is Your Image Congruent with Your Brand? Make sure the image/graphic not only makes sense with the ad messaging/hook, but that it makes sense with your overall brand. Be consistent with styles throughout your ads and your website. You want to keep people hooked and to maintain ad scent. By staying consistent, you will ultimately help your users achieve their desired end result. You don't have to be a professional designer to create an awesome ad. 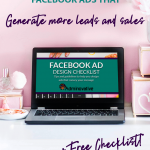 Download a copy of my Facebook Ads Design Checklist for free today and keep these design tips at the ready for your next Facebook Ad campaign. If you found this blog post to be of value be sure to pin it so other people can read it, too! I have worked in Office Administration since my first job at 16. I had the idea to start my own Virtual Assistant business about five years ago. That idea evolved into Adminovative. Since then I have extended my services to include Graphic and Web Design and Social Media Management. I strive to deliver eye-catching, message-passing designs to anything that I do and help you move forward with your business.